Meet the Cruise AV – the first production-intent vehicle built from the start to operate safely on its own, with no driver, steering wheel, pedals or manual controls. Along with debuting the Cruise AV, General Motors has announced that it has filed a Safety Petition with the Department of Transportation for the fourth-generation self-driving Cruise AV, asking the department permission to safely deploy the self-driving vehicle in 2019. 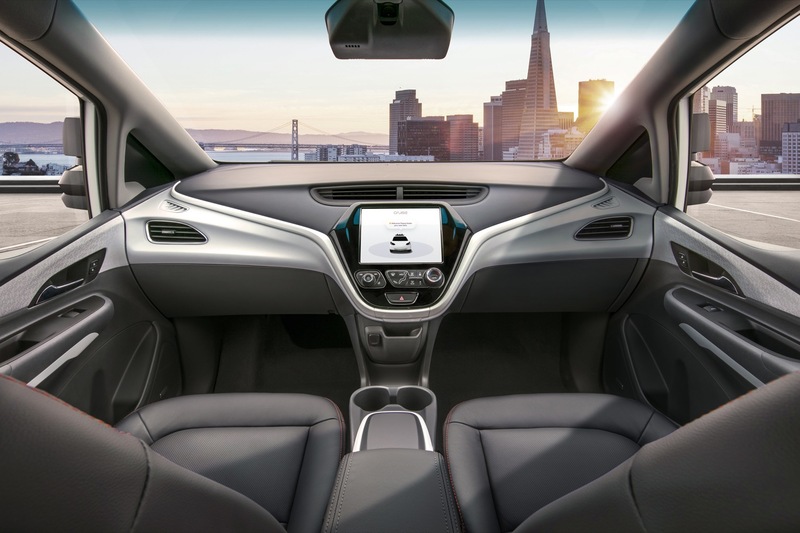 Along with the announcement, GM released the above photo of the interior of Cruise AV, which you can expand at the link below. Previous story 2019 Silverado 1500 To Use 2.7L Opposed-Piston Engine, Get 37 MPG? So what was Mary Barra feeding us last year?… She stated just last year that cars will not be losing thier pedals or steering wheel’s anytime soon and now we see this from GM. This is a Cruise concept for car sharing/Ride-Hailing vehicles. Most likely for fleets. If its a personal vehicle I bet it would still have manual controls. The more I see how tech is being abused these days by large corporations, government, and even individuals, the more I dread the day these things start hitting the road in mass. I dont agree with points that get stated for eliminating the human driver. They’re trading one type of risk for another and removing our choice in the matter. I would never buy a car without physical controls. Sounds like the same morons that said I will never buy a car with disc brakes, fuel injection, fwd, electric shifting transfer case and the list goes on! All because they are afraid of technology being different then what they grew up with! It’s sad that people live in fear! I am not some young kid, I am 45 years old! I love this idea and can’t wait to see one and ride in one! Why are people so afraid of technology? Do people lose their minds when they fly on airplanes? Have you ever heard of autopilot? It works very well! Would I buy this? Personally probably not. I just like to drive. Is GM the only one doing this? Nope, look at Toyota’s idea that they’re partnering up with Pizza Hut, Amazon etc. Now, the Toyota’s look somewhat like a van, but there’s even an example of it being used as a bus. How unsafe would I say this is? I don’t think it would be any more unsafe than the average driver out there. For one, even though they’re driverless, I’m sure there’ll be a way to control the vehicle, they’ll probably be remote start or a button or something like that, and probably an emergency shutoff. I don’t think it’s like these things will leave without instruction without anyone knowing. Sensors will help it, if there’s inclement weather conditions, I’m sure it can adjust, and if they’re used for a fleet like the Toyota idea, if the weather is too bad, I’m sure the business will be able to control whether they go out on the road or not. As far as concern, I’m more concerned with these vehicles taking over jobs, like from Pizza Hut and Amazon, possibly eliminating need for delivery drivers, than I would be for safety. Of course these vehicles could potentially be hacked, that’s the point where we are in this world anything can be hacked. Some of the vehicles on the road today, may actually be able to be hacked to drive by themselves, until they crash into something because of not being built for that purpose. The point is though, if we take away all the negatives, we’re at the point in computer programming algorithms, sensors, and computer systems to be able to do this without it being no more of a “threat”, than what drivers can provide today. GPS tracking and probably even OnStar for GM manufactured vehicles will obviously play a major role with this. I’m just not ready to give up my Camaro for something like this though. Why should we care if delivery jobs are done away with because of This?